New research has found that people who document and share their experiences on social media form less accurate memories of the actual events themselves. You might think that sharing photos from that epic Coachella party or your anniversary dinner will trigger your memory years down the road, but according to science, documenting every single moment of your life actually dulls your memories of life experiences in a major way. 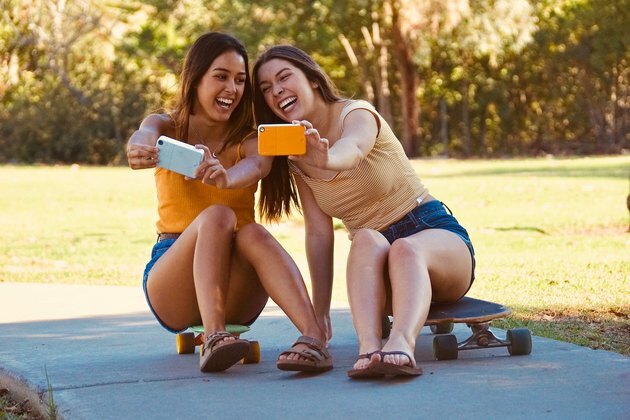 Led by Diana Tamir of Princeton University and published in the Journal of Experimental Social Psychology, the three studies explored how taking photos and videos for the purpose of sharing them on social media impacted participants’ enjoyment, engagement and memory of those experiences. To do this they had participants watch TED Talks (you know, those wonderfully informative and engaging videos about everything from guerilla gardening in South Central L.A. to the hidden power of smiling). A second group was sent on self-guided tours on a Stanford University campus church. All were told to record their experiences in a variety of ways: taking photographs or notes of the event, recording the event but not saving it, sharing the event on social media or simply reflecting internally. Participants were asked about their enjoyment of the experience and the extent of their focus. They were also quizzed on their memory of the event. While the findings cut social media slack when it comes to in-the-moment enjoyment (those who shared their experiences on social media didn’t enjoy them any more or less and were similarly engaged), participants’ memory was stunted. They performed 10 percent worse on memory tests. However, because those taking photos or writing notes without the intention of sharing them reared the same results, researchers argue that social media isn’t entirely to blame. It was the act of externalizing experiences — reproducing it any way — that distracted people from the original experience. According to Time magazine, these findings are rooted in research about transactive memory — how we divide and store information. There is internal storage, which is basically what we decide to remember, and external storage, that which we store elsewhere. In the days before the internet, internal storage was a person’s mind and external storage was associated with experts and books. It would obviously take effort to retrieve external information back in the day, so people were forced to rely more on their internal memory. But then came the internet, and access to information became as simple as typing words into a search engine. Why store so much information internally when it’s so easy to pull it up with the stroke of a mouse, right? Researchers dub this the “Google effect.” And, yes, most of us are guilty of it. While we know where to find this abundance of external information we need, we neglect to absorb it. Researchers believe the same thing is going on with this current study: It isn’t just knowledge and fun facts we externalize, but even memories of various experiences. While we may have photos documenting these experiences, the memories may get diminished in the process. Pretty sad, no? This isn’t social media’s first offense. From promoting narcissism, messing with personal relationships and negatively impacting young adults to promoting FOMO, the fear of missing out, it looks like being on social media is not devoid of shortcomings. Stay healthy out there! Have you found that sharing your experiences on social media impacts your memory of them? In general, do you think social media has more of a negative or positive impact on your life? Will this study change the way you document your experiences?